Brown & Kelly is founded. 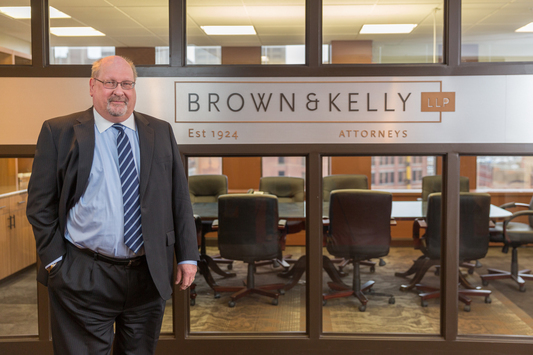 Established in 1924, Brown & Kelly, LLP has a rich heritage deeply rooted in the Buffalo community. The original partners were brought together by the prosperous railroad industry. During the early 1920s, Buffalo was the second largest rail center in the United States. New York Central Railroad, as well as a Buffalo’s streetcar company, the International Railway Corporation, were original clients of the Firm. Today, Brown & Kelly’s connection to the past is still strong. Over the years, Brown & Kelly has evolved into a full service law firm. We have recruited top attorney talent and added practice areas to meet the needs of our domestic and foreign clients. We are results driven and provide insightful and common sense legal representation to our clients. Our reputation, experience, and commitment have made us a law firm that transcends generations and a recognized leader in Western New York. Brown & Kelly has always been active in the legal community. A number of our attorneys are past presidents of various bar associations. Many members of the Firm have also held positions in local government. Our attorneys are also committed to serving the needs of the local community. In addition to providing pro bono work, our attorneys have chaired or worked on various charitable organizations and campaigns. We are proud to have served clients in Western New York, across the country and abroad, for over 95 years. Brown & Kelly looks forward to continuing our tradition of commitment and service for the next 95 years.